Our friends Christy and Eric have an amazing yard, which is always immaculate and freshly mown, with nary a weed in sight. Christy has a particular affinity for gardening and flowers, and her hydrangeas seem to change colors from year to year. This season, they’re an indescribable pinkish-purple, with hints of lavender and gold. 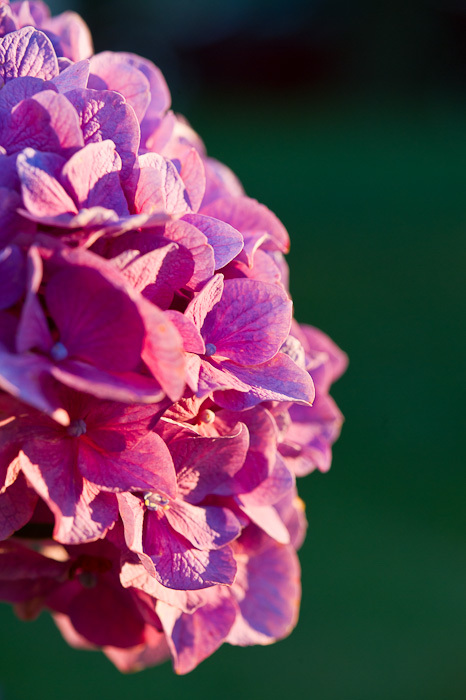 Blooming hydrangeas remind me of my childhood, when summer was in full swing and the bushes provided the perfect hiding spot during a game of hide-and-seek—few would look beyond the beautiful blooms to find a child crouched in the dappled shade.